Click here to apply to NSI through NIC's Learning Center. The National Sheriffs' Association (NSA), in concert with the National Institute of Corrections (NIC), boasts one of the nation's most respected training opportunities available for new sheriffs. Expenses, including travel, lodging, and meals are paid by the NIC. In essence, successful sheriffs have benefited from an awareness of the conflicting roles presented by social circumstances that impact the criminal justice system as a whole and the politics of the office. The NSI is a unique entity in this respect, existing to serve the specific needs of the office of sheriff, both on an individual basis and as an institution. In fact, every participant becomes an integral part in formulating, perpetuating, and elevating the institution of the office of sheriff. It is your input, your concerns, your issues and your successes that determine the direction and the strengths of the office of the sheriff nationwide. As a graduate of the NSI, you become a vital part of a national law enforcement entity that is, in reality, larger than any single "office of the sheriff." The resources and expertise of generations of successful law enforcement professionals are at your fingertips. The value of this concept can only be fully grasped when the need is felt first-hand. NSI's broader focus allows us to venture beyond the organization and to recognize systemic and community leadership behaviors such as visioning. Leadership issues of the sheriff can be identified and placed into six different categories. They are community leader, criminal justice system leader, political leader, organizational leader, technical expert and program leader. The leadership context has resonated powerfully with the sheriffs and has proved to be a useful way of organizing much of the NSI curriculum. Graduates of the NSI have cited the first-rate faculty who are experts in the field, and the diversity of the class population as among the most valuable assets. 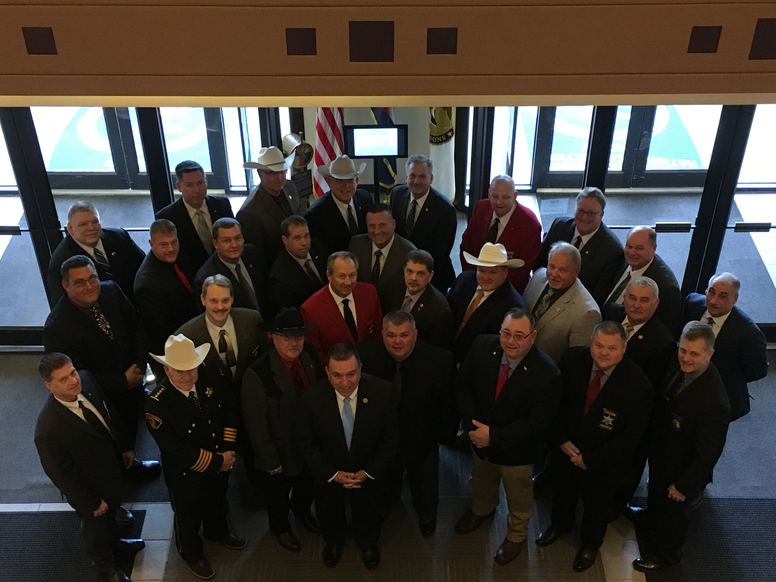 Each class is comprised of up to 30 first-term sheriffs from jurisdictions large and small, selected from all across the country. Instruction, interaction, and group problem-solving help to enhance each sheriff's knowledge base and ability to be a forceful and effective leader both in the community and within the justice system. For additional information, call (800) 424-7827 ext. 353 and speak to Kristi Barksdale or email her at kbarksdale@sheriffs.org.